Personal Budget Planning, Want To Learn How To Make A Budget Worksheet? Find Out Here! 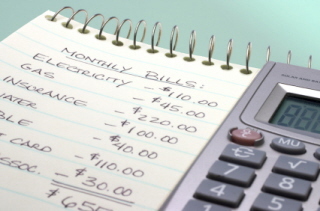 Personal budget planning is a critical step in your home building process. Monthly household budget planning with a budget worksheet will keep your project and your finances in the black! Learn how to make a budget that will save you time, money, and emotional heartache! Building cost estimating in any home building project will save you from having a financial meltdown in the middle of your project. Cost estimating should always start with a monthly budget worksheet. If you have prepared this document ahead of time it will definitely save you time in your intial meetings. You and your significant other decide to build a custom home. 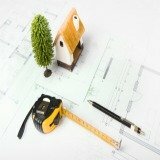 You make all the preparations hiring a general contractor, choosing the right house plan, and buying your land. Your project gets underway and everything is moving along seamlessly. You think to yourself, all is right with the world. If things keep moving in this direction we can move in by "x" date. In a short period of time, our family will be living our American dream! One fateful day it happens. You get a call from your general contractor stating "x, y, and z" happened. It's going to cost this much to correct. We really can't move forward with the project until these problems are taken care of. You think to yourself, no big deal I'll just call the bank and surely they will understand and disperse the funds. You make the call, but to your dismay the bank refuses, stating they only disperse funds in draws when certain work is completed. I have seen this scenario happen time and time again. It happens when you fail to do personal budget planning. Dear reader, Please, Please, Please.....don't let this happen to you. You can learn the steps to balance your finances by learning how to create a budget. Mistakes like this or others can put your family through very rough financial times and set your housing project months behind schedule. On this page we will discuss the - (when, how, and where) in learning how to make a budget. 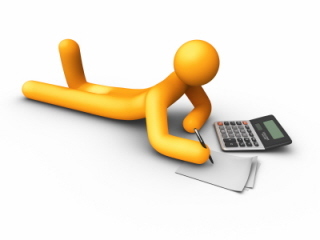 What comes first is learning how your lender will decide your maximum loan amount. The lender considers your debt to income ratio, income, expenses, and your available assets (cash), when deciding if it will loan you money. 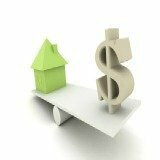 According to FHA, your monthly mortgage payments shouldn't exceed 31% of your gross income, while your combined non-housing expenses shouldn't exceed 43% of your income. 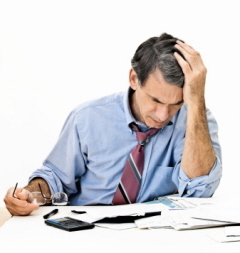 Lenders usually use some form of these percentages when evaluating an applicant for a loan. Keep these figures in your head when budgeting. You can use these free printable budget worksheets to get your monthly budget worksheet in order before approaching a lender. Do you have a steady source of income (been employed for 2-3 years)? How good or bad is your credit score (fico score)? 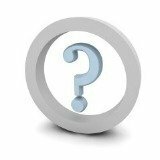 Do you have any outstanding long term debt (ex. student loans)? Do you have enough saved for your land purchase or do you need that financed also? Do you have the ability to pay a new mortgage every month (possibly two mortgages if you already own a home)? These are questions your personal budget plans will help you answer. 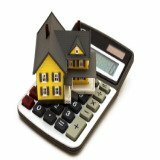 Once you start to understand your personal budget planning, you'll know how much you need to save monthly to purchase the land and home style of your choice. This will make sure that you understand your monthly budget worksheet and what charges are taking place, instead of being a little shell shocked at the end of your home building project. You should always sit down and do monthly budget planning each month with a budgeting expert (accountant, construction consultant, general contractor, etc.). Learning how to make a budget and personal budget planning will help direct your home building project to massive success. You will be able to live your American dream with your family.....comfortably!